Amazon has dropped the price of its 16GB 7-inch Kindle Fire HD tablet by £20 to £139 in the UK and by €30 to €169 in several European countries, including France, Germany and Italy. The 12 percent discount follows a similar price drop in the US and puts additional pressure on book retailer Barnes & Noble, which slashed the price of its 7-inch NOOK HD slate to £99 in the UK earlier this week. The larger 8.9-inch variant of the Kindle Fire HD tablet is still being sold at £229 in the United Kingdom and €269 throughout the rest of Europe. 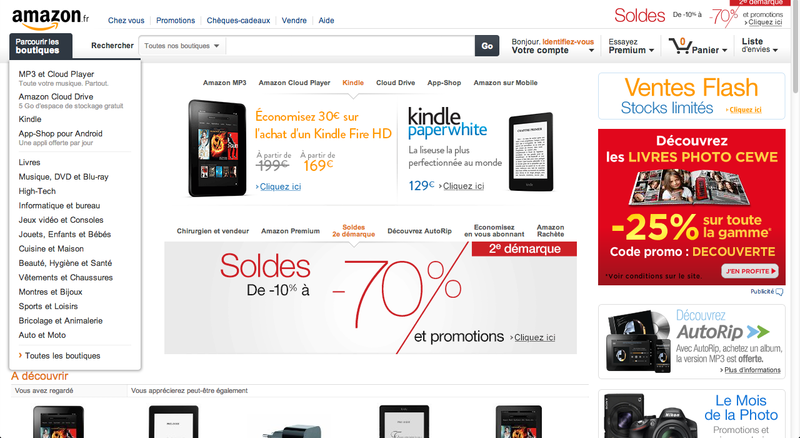 Although Amazon hasn’t issued a statement about the change, the discount is presently being promoted on the front page of every European Amazon website. Clearly, this is serious business. 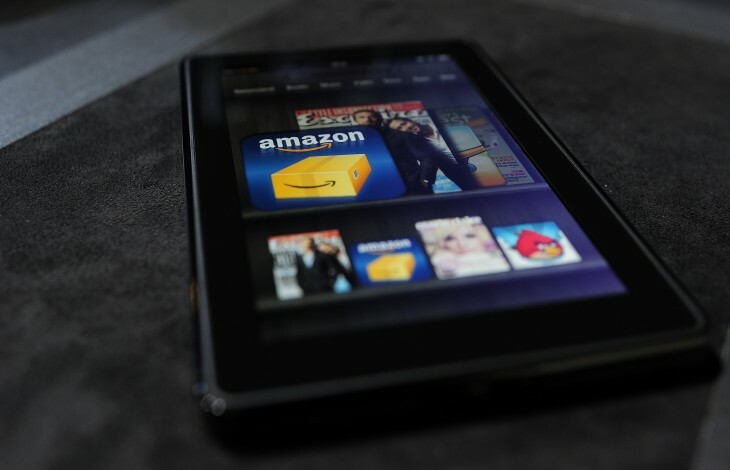 The Android-based Kindle Fire tablet has always represented pretty good value for money; Amazon’s long-term strategy has always been to create lucrative profits by selling content, rather than premium hardware. It’s part of the reason why Amazon chose to completely re-skin Google’s OS and promote its own app store. To slash the price of the Kindle Fire further suggests that Amazon isn’t happy with its current sales numbers, or wants to clear out its existing stock to make way for a new product. The company has been expanded the availability of its Kindle tablets and e-readers rather dramatically, with India and China joining the fray last month. Nevertheless, Amazon has never disclosed any actual sales figures for its Kindle Fire tablets, other than revealing that the device “captured 22 percent of tablet sales in the US” during its launch period. The price cut isn’t unprecedented either. Amazon dropped the 7-inch Kindle Fire HD to $179 (16GB) and $209 (32GB) in May, following a similar price slash that brough the 8.9-inch variant down to $269 in the US in March. The side-effect of this strategy is that it pressures other Android tablet manufacturers to lower the price of their respective hardware, either by taking a smaller profit or opting for low-end parts. Barnes & Noble conceded in June that it would no longer be manufacturing NOOK slates in-house – it would be a shame to see other prolific tablet manufacturers admit defeat in a similar fashion.